In the comments: can you reconstruct each step of the student’s argument? What was he thinking? 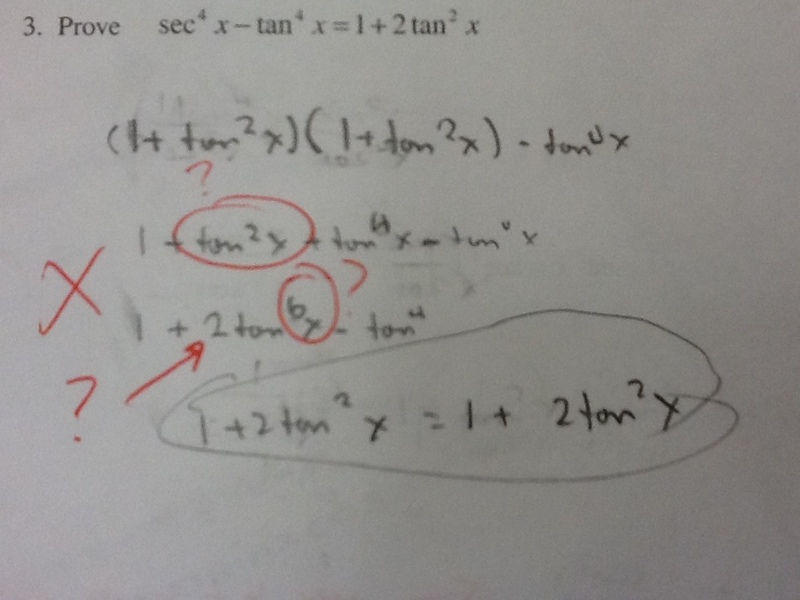 What’s the nature of this student’s mistake? Is it the sort of mistake that the kid would make given a linear equation to solve, or is the mistake particular to the trig context? How might you help the kiddo? 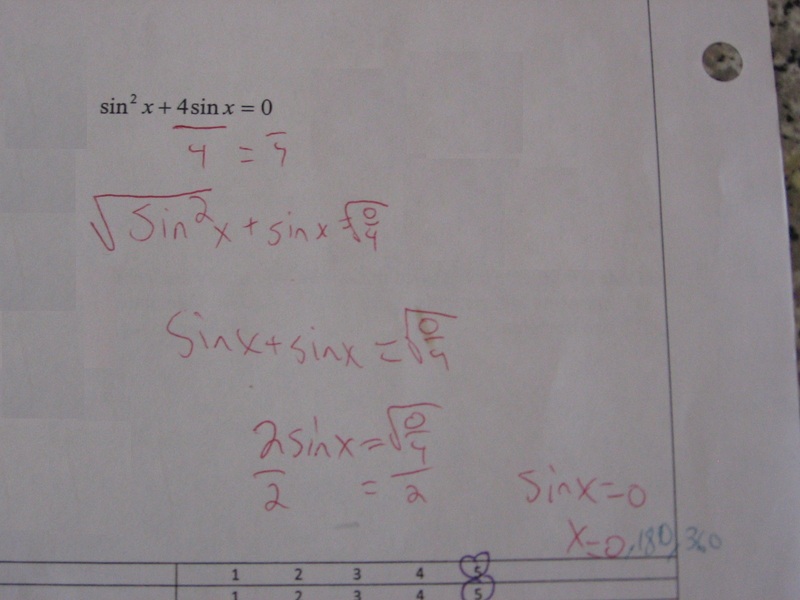 Posted in Solving Trig Equations, Trigonometric Functions.